The Musuo games are a weird and wonderful hack-and-slash series that come in a variety of flavours. No matter which style you choose one thing is always true, you’ll be mowing down hundreds of faceless minions in-between more interesting boss battles. The gameplay is rarely all that involved, the stories are nearly always utter nonsense, but they are normally a lot of brainless fun. Nevertheless, these are the kind of games that are a huge amount of fun and offer a lot of hours if you’re into them. 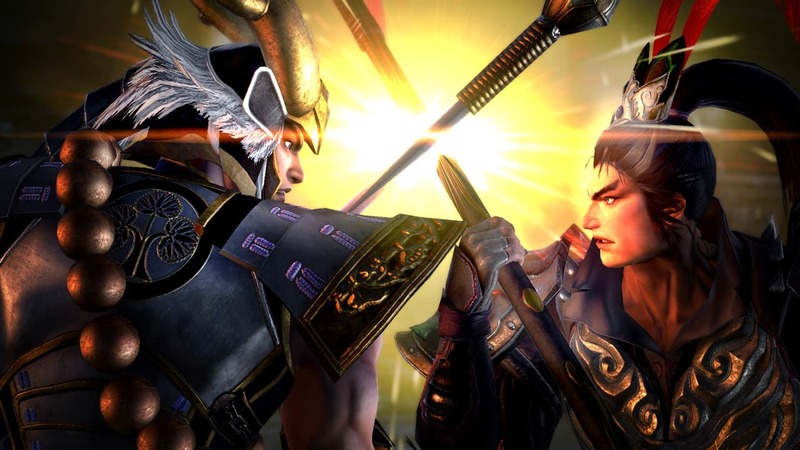 Warriors Orochi is basically the tweenage fanfic of this multiverse. It ties together both the Samurai Warriors and Dynasty Warriors worlds into one pick ‘n’ mix of over-the-top action and weapons. The story goes like this; a bunch of ancient Greek gods are bored and miss the last time the two universes crossed over, so they meddle with things and here we are. If that seems a bit reductive to you then it’s mostly because the story is largely irrelevant. These are games that are about gameplay and little else. So, how is it? Well, the moment-to-moment gameplay is pretty much what you would expect. You chain together normal and special attacks to take out the same drab enemies. As you do so you can pepper in magic attacks and your ultimate musuo attacks for the stronger foes. That’s more or less all there is to the battles. While these have never been complicated games it still manages to feel particularly shallow. There just isn’t anything really deep enough to sink your teeth into. Outside of the battles, there is a fair amount of management to be done. You have to choose the composition of your team, who you have supporting them, what weapons you’re using, and what skills you will unlock. It sounds like a lot, but it is pretty easy to keep on top of, though not brilliantly explained. Given how short some of the battles are you may start to feel as though you’re spending more time sorting your weapons out than actually using them. While the focus of the games has never been the graphics it does make the experience more enjoyable when it looks good. Unfortunately, it looks outdated and is easily outclassed by most other games on the Nintendo Switch. Everything looks muddy and like it’s coated in grime. It just isn’t good enough for a game these days. It isn’t like a Musuo game can’t be stunning on the portable home console, just look at Hyrule Warriors: Definitive Edition – a game literally from the last generation that is clean, bright, and colourful. In fact, the whole game feels a bit lacklustre compared to the better Musuo offerings. Combat feels weightless, even the most dramatic attacks don’t feel like they hit. Perhaps the largest issue with Warriors Orochi 4 on Nintendo Switch is that it is on the Switch. With both Fire Emblem Warriors and Hyrule Warriors: Definitive Edition available on the console, choosing a lesser version of the game with less recognisable characters isn’t realistic. If you want a good hack-and-slash game then there are already two here, this just doesn’t come close.